Summer is here! 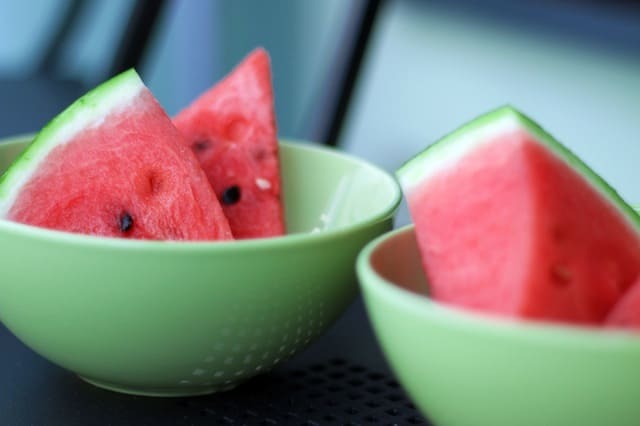 Yeah~ The best season to enjoy watermelon! Everyone loves it! But watermelon dish? Wait a minute! I actually just made some watermelon juice for my friends’ visit tomorrow. As I was about to throw away the watermelon rind, some crazy ideas came to my mind. I decided to save the rind and make a watermelon dish tomorrow, along with other authentic traditional Chinese dish recipes, such as mabo tofu recipe and moo goo gain pan recipe. That’ll complete a wonderful summer lunch! I am a firm believer that everything is created for a purpose. Even though the watermelon rind is not as juicy and sweet as the flesh, it is rich in carbohydrates, minerals, and vitamins. So why waste it? As long as we are willing to put in a little bit effort and time, our family will be very surprised and appreciative. Besides, especially in summer, these dishes can help lower blood pressure and relieve body heat. Before making any dish listed below, please peel off the green skin as it’s very hard to chew on. For hygiene purpose, remove flesh if you want. For more healthy summer dishes, please check these recipes: best summer grilling recipes, Chinese black fungus salad, and Chinese cucumber salad. Now let’s have some fun cooking watermelon leftover! 1. Cut watermelon to cubes and place in a medium bowl. 2. Add vinegar, sugar, garlic, salt and sesame oil. Mix well. 1. Marinate shredded watermelon with 1/2 teaspoon salt for 5 minutes in a medium bowl. 2. Squeezed water. Add 1/2 teaspoon sugar, 1 teaspoon lemon juice, garlic, mint, parsley, and chili. Mix well and refrigerate overnight. 1. Wash the ribs. Bring a pot of water to boil. Boil ribs for 10 minutes. 2. Add 8 cups of water into a cooker together with ribs and ginger. Once it’s boiled, cook over medium heat for 40 minutes. 3. Cut watermelon into small cubes. 4. Put the watermelon pieces into the cooker. 5. After boiling, switch to a small fire and cook for another 10 minutes, and season with salt. 1. Cut watermelon, ham and green pepper to thin strips. 2. Heat some oil over medium heat. Add watermelon and stir-fry until soft. 4. Add ham and pepper to stir-fry for another 3-5 minutes.